Variohm EuroSensor introduces the highly configurable Novotechnik hall effect rotary position sensors with twelve bit resolution. Novotechnik’s RSB-3600 and RMB-3600 single- and multi-turn Hall Effect rotary position sensors are available in a wide choice of configuration options for maximum application flexibility. Available from Variohm EuroSensor, the highly durable sensor range is housed in a tough 36.5 mm diameter all-metal housing with a choice of solid or hollow shafts and environmental protection from IP67 to IP69K. With an absolute 12-bit resolution and linearity of +/- 0.03%, output options include analogue current or voltage and incremental for the single-turn model and analogue and high-speed SSI for the multi-turn. Aimed at demanding positioning tasks on industrial and agricultural machinery or mobile and marine equipment, the sensors are also available in dual-channel redundant versions. These rotary sensors utilise Novotechnik’s proven Novohall process. In single-turn applications, measurements are taken across the full 360 degrees. The multi-turn model includes Novotechnik’s Giant Magnetoresistance (GMR-Effect) principle which is capable of gearless counting and storing revolutions during idle intervals. With no batteries the sensor can capture up to 16 revolutions as a “True-power-on“ system, it provides the measured value immediately upon start-up. 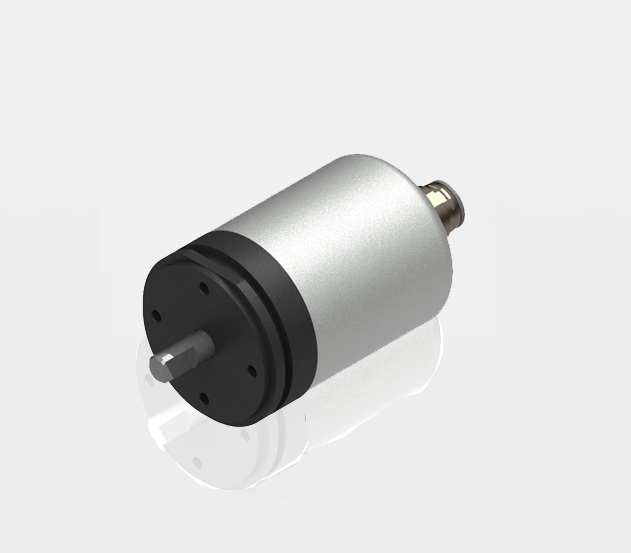 The combination of Novohall and GMR-Effect can be applied to and is available in shaft-driven and touchless systems without mechanical shaft couplings. Long life and excellent durability even under the most arduous shock and vibration conditions are characteristics of these measurement technologies.